A retail Point of Sale solution built for fashion and clothing brands. Advanced functionality witn an intuitive interface at an affordable price. Pret-a Pos is elegantly designed with fashion in mind. We provide everything that you're looking for in a modern point of sale system for a fashion store, all for just $135 per month. 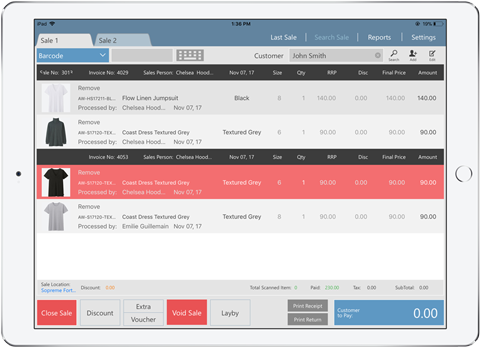 Regardless of if you have a Windows based pc in-store, or an iPad, Pret-a-Pos will have you managing sales efficiently in no time. To find out more on how Pret-a-Pos will work in your fashion retail store, get in touch with us today. The focus of Pret-a Pos is to provide a highly functional Point of Sale system that has a modern, intuitive interface enabling your staff to use it confidently in a matter of minutes. We also understand how frustrating it can be trying to make a traditional Point of Sale system work across the many colours and sizes associated (and the potential for large numbers of SKUs) with the fashion industry. As everything we do is specifically for the fashion industry, we are sure you will love using Pret-a-Pos in your store(s). Find how we can help. Contact us today. You need a point of sale system that has a great range of features, and we have delivered this with Pre-a-Pos. From its intuitive user interface and logical process flows, to loyalty points, member-level assigning and Mailchip integration. Pret-a-Pos has the features you need to help sell more in-store. Next are the huge benefits you get with having a Point of Sale system that links in with a back-end management software system. As your Point of Sale system will be always been connected with what is happening in any other store(s) and your e-commerce website, your staff will be able to see the correct stock levels at all times and be able to quickly assign stock to a store as required. 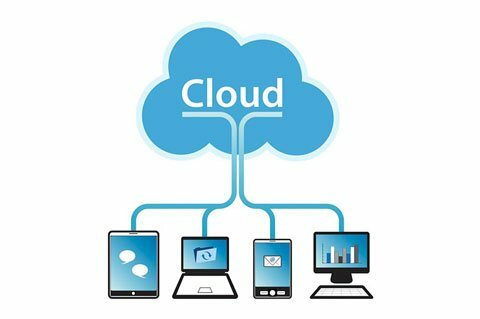 By having your store’s Point of Sale system in the cloud you don’t need to bother staff with updating or securing this vital part of your retail fashion business, we take care of that for you. Easy to set-up. Easy to use. Powerful to run! Not only is Pret-a-Pos a fully-featured POS, it is also one that your staff will be able to pick-up very quickly – no big learning curve taking them away from customer service and selling!